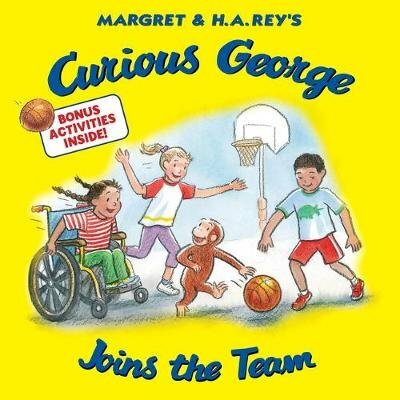 In this Curious George story, George learns that a wheelchair doesn't stop his friend Tina from anything — even joining a basketball team! Now in paperback. Curious George has a playdate at a park designed for children of all abilities, perfect for his new friend, Tina, who uses a wheelchair. While they are playing together, Tina spots some kids playing her favorite game: basketball. George jumps right into the action, but Tina is too shy to ask to join. George suspects Tina is just as good—even better—than the other kids. Can he come up with a way to show the players she's got game and help her overcome her shyness? This story celebrates how kids of all abilities can play together!